My first article for this site was titled The Shiller Revolution — The New Way to Invest. I believe that all of us would become Valuation-Informed Indexers if we understood it well. The trouble is — it’s very different from what we are used to. Valuation-Informed Indexing stands most of the core beliefs of Buy-and-Holders on their heads. It takes some time getting used to this new way of thinking about stocks. Buy-and-Holders believe that economic changes determine stock prices. If we go into a recession, the profits of the companies we are invested in are diminished. So stock prices drop. It makes sense. At least it seems to make sense. I don’t believe anymore that this is how it really works. As a Valuation-Informed Indexer, I believe that the Buy-and-Holders have it exactly backwards. It’s not that the economy drives the stock market. It’s that the stock market drives the economy. Say that a friend of yours is a secret alcoholic. Because you are close to him, you know he has a problem. But the guy is successful and on the surface appears to be a happy, healthy fellow. Over time, though, his drinking problem worsens. He begins missing deadlines at work. He is fired. Now he gives in to drink entirely. His wife leaves him. He ends up in the gutter. Outsiders who knew nothing about the drinking problem until they saw what happened after he lost his job might conclude that it was the job loss that caused all his troubles. If only he hadn’t been fired, he never would have turned to drink and lost his wife. Those who are better informed understand that it was the drinking that caused the job loss, not the job loss that caused the drinking. So it is with stocks. The market didn’t crash until September 2008. But it became a time bomb in January 1996, when prices reached levels so insanely high that a crash became inevitable. If you check out Shiller’s book (Irrational Exuberance), you will see that he predicted the stock crash and the economic crisis years before they happened. So did all other Valuation-Informed Indexers. None of the Buy-and-Holders saw these dark days coming. What is it that the practitioners of the one investing strategy know that practitioners of the other investing strategy do not? What we know is that stock prices always return to fair value. This is an Iron Law of the stock market. It is the very purpose of a market to set prices properly. So there is zero chance that stock prices could ever rise to the levels that applied in the late 1990s and early 2000s and then just remain there indefinitely. Stocks priced at those levels always crash hard. There’s never been one exception in the historical record. There never will be one. If you want to know whether a stock crash and an economic crisis are on the way within a few years, just do the math. Stocks were priced at $12 trillion above fair value at the top of the bubble. We knew with certainty that that $12 trillion in pretend wealth would be disappearing from the U.S. economy over the course of 10 years or so. And it is of course simple common sense that an economy that loses $12 trillion in buying power is going to crash. When people don’t have money to buy things, businesses fail and workers lose their jobs. Why is it that the Buy-and-Holders see it the other way around? At the time Buy-and-Hold was developed (the 1960s and early 1970s), we did not know that valuations affect long-term returns. People believed in those days that the market is efficient, that stocks are always properly priced. It was not until 1981 that Shiller published his research revealing the realities. 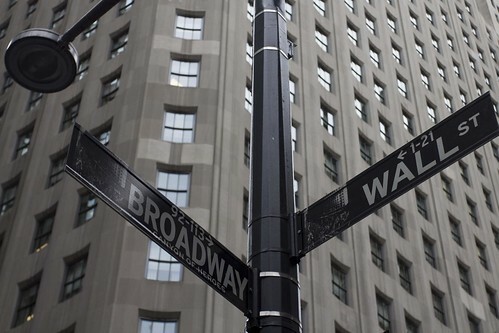 Most of us believe today that economic developments determine stock prices only out of habit. That was once state-of-the-art thinking on the topic and we haven’t updated our thinking to reflect the research of the past 30 years. Once we do, most of us will believe precisely the opposite — that it is the stock market that determines where the economy is headed. This is an exciting development. We have had four economic crises in U.S. history. All four of them were preceded by a time when stock prices reached insanely high levels. There has never been a time when stock prices reaches insanely high levels and we did not experience an economic crisis and there has never been a time when we experienced an economic crisis not having first experienced insanely high stock prices. The correlation is perfect. What if we warned people of the dangers of high stock prices? There’s reason to believe that we would never again experience the kind of economic crisis we are all enduring today. That’s Valuation-Informed Indexing. Valuation-Informed Indexers don’t stick with the same stock allocation when prices rise to insanely high levels. We don’t lose large portions of our wealth in stock crashes. So we don’t stop spending following stock crashes. It’s not just that we now know of a way to help investors earn far higher returns at greatly reduced risk. If the bull market of the late 1990s was the true cause of the current financial crisis, we can stop future crises by stopping future bull markets. That’s what Valuation-Informed Indexing (which teaches investors to sell stocks when prices get out of hand) is all about. Things look bleak today. But underneath the surface there are some highly encouraging developments taking place. For us uninitiated – how does one determine the “fair value” of the stock market quickly? And how do you actually know that is the fair value and that the fair value can’t change? The best valuation metric is P/E10, SavingMentor. That’s the price of a broad index over the average of the last 10 years of earnings. It’s the metric used by Shiller (it was developed by Benjamin Graham, Warren Buffett’s mentor). The fair value of the market could change to a small degree. Historically, the fair value P/E figure has been 14 or 15. It could change to 13 or 16. But ours is an established economy. It’s highly unlikely that the fair value P/E10 is going to change dramatically. The U.S. economy has been sufficiently productive to support a long-term average of return of 6.5 percent real for as far back as we have records. That could change to 6 percent or 7 percent on a going forward basis. We would have to see some really out-there developments for it to change much more than that in either direction. But say that you believe the average long-term return is going to be 8 percent real from here on out. Even is that were so, stocks still would have represented a poor long-term value proposition from 1996 forward, given the prices that have applied. The level of productivity would have to change in ways never seen in history to make stocks a good investment choice at the price levels we have seen for the past 15 years. Please understand that there are lots of good and smart people who think I am out to lunch on this stuff. I am not God. I could be wrong. I’ve obviously been wrong about lots of things before and this could be just one more time that I end up wearing the dunce cap. I’m saying what I sincerely believe. But I wouldn’t want anyone to believe what I say solely because I happen to believe it. Please be sure to check out what other people say and then think things over yourself. I am grateful that you took time out of your day to comment on the article. I certainly wish you the best possible luck with all your investing strategies.